Shipping was fast! No smell. Hair looks good so far! Haven't installed once its install pics will be uploaded! 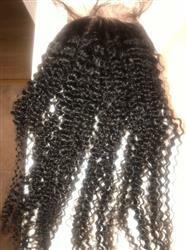 3 bundles of 26" Mongolian ***** curly hair & 1 20" free part closure.